A new feature that was added to the iOS 5 for iPhone, iPad and iPod Touch was the Photo Stream. It will take all of your photos and images that are saved to your Camera Roll and synchronize them across all of the iOS devices. It also synchs to all of your Macs that run iPhoto and any Apple TV that you might own. This is wonderful if you are an Apple family and don’t want to go through the process of syncing each Apple device manually. Well there is a new free app in the Apple store that you should take a look at if you are using the Photo Stream feature. 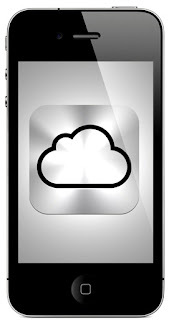 This app is called the Cloudy Exporter. What this app does is to take all your images that are on your Apple devices and adds them to your Photo Stream. If you have some photos that aren’t in the Photo Stream yet, it will add them in. The photos that get exported will sync up with all of the devices that are iCloud enabled. For this to work, the iOS device has to be running version 5.0 or higher. You must have an iCloud account and the Photo Stream has to be set up on the various devices. Again one of the nice features of this app is the fact that it is free. All you have to do is to download the application from the App Store. You will find that when you open up the app, you will see some advertisements at the bottom of the screen. Don’t let this deter you from getting this app. This is definitely a great app in that it brings the Photo Stream uploading to iOS devices. So if you are looking to bring all of you photos to the Photo Stream, this is the application that you want to get. 0 Respones to "How iCloud Works with Photo Stream"